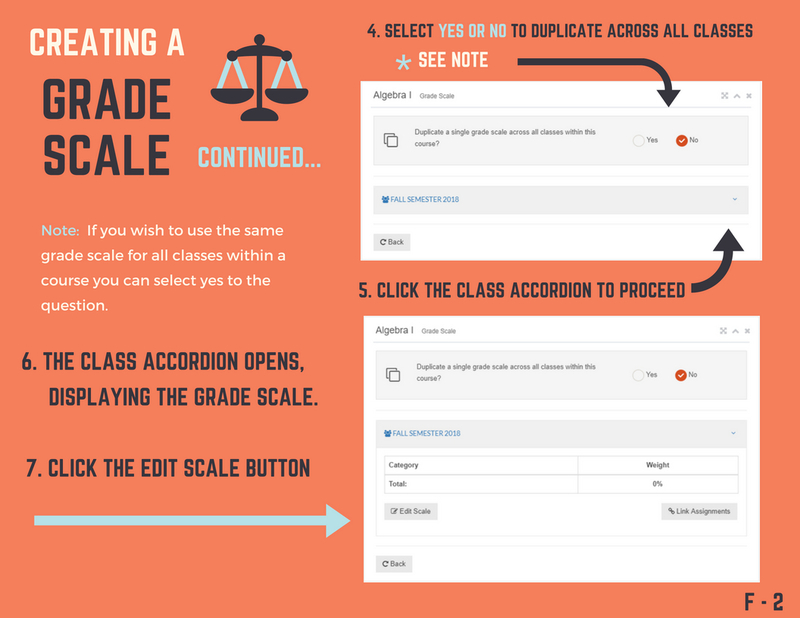 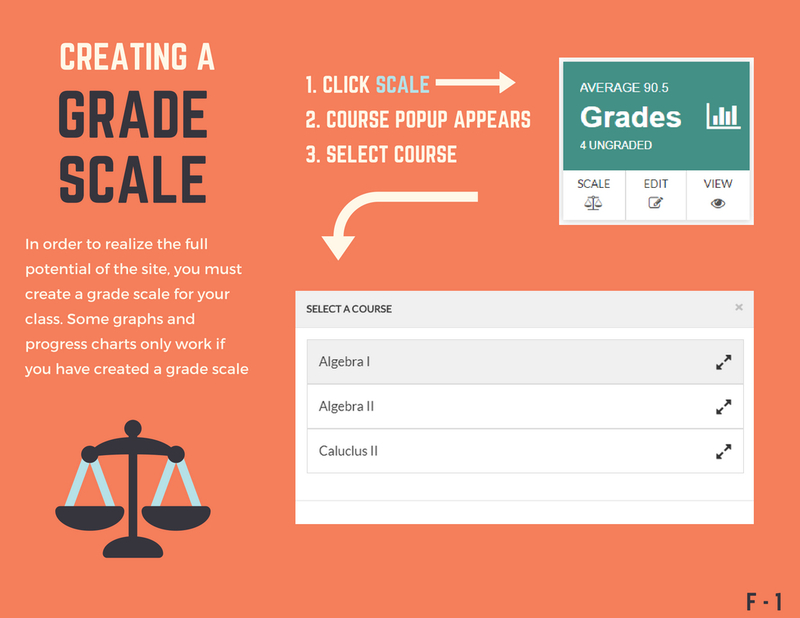 You can create a grade scale for each class or you can use the same grade scale for all of the classes in this course. 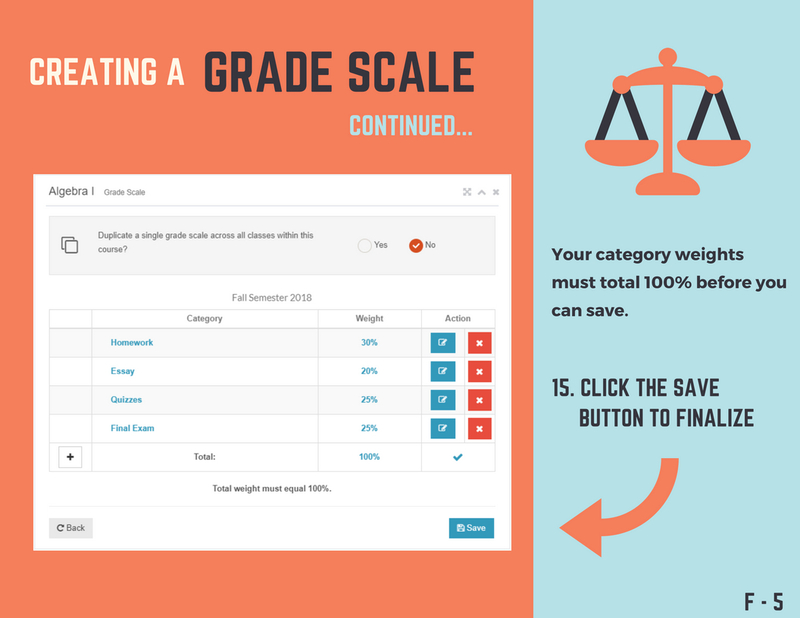 A grading scale is comprised of grading categories and a percentage weight for each. 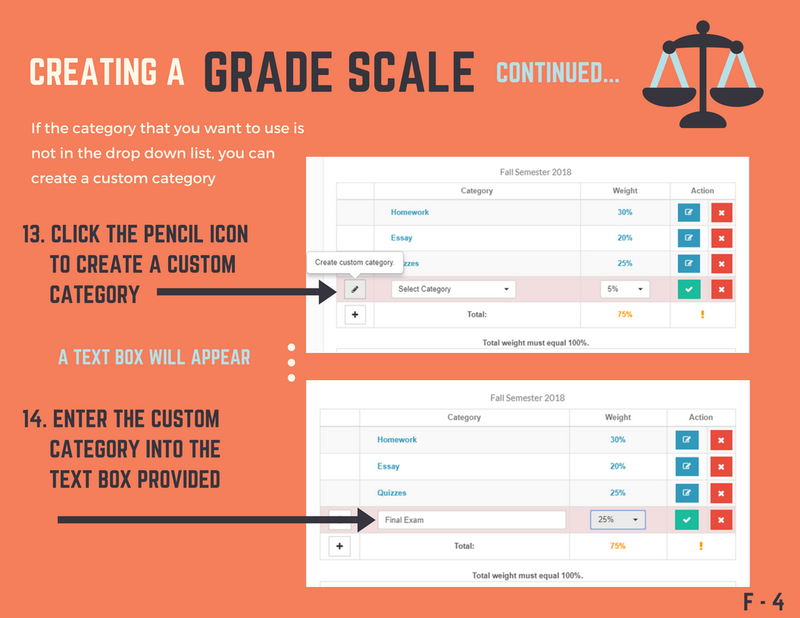 Each test or task assignment can be categorized with a grading category. 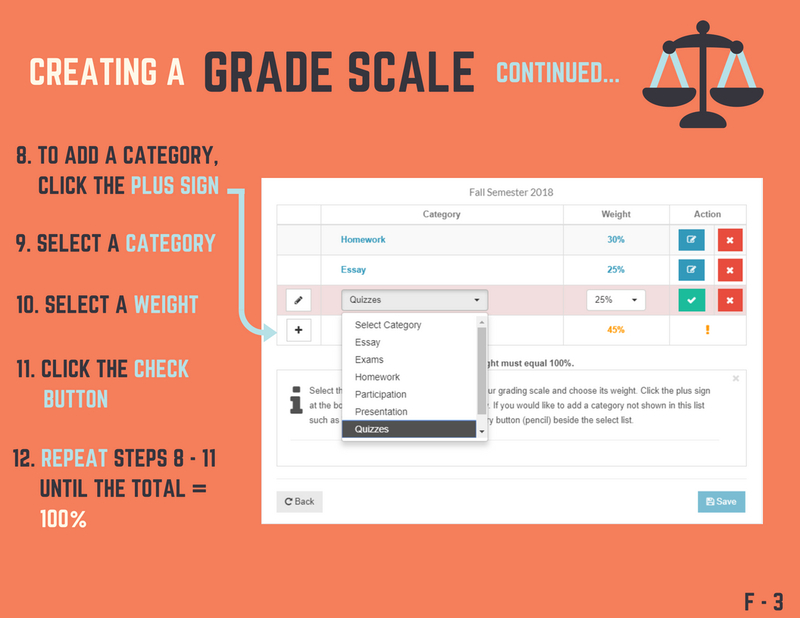 After creating a grading scale, you will be able to link test and/or task assignments to those categories.